This is the last post of the Muscat travel series -for now!- who knows I might go again and add more places, but until then I thought I could end the series on an arty note with reviewing this lovely little Omani museum, Bait Al Baranda. The name means the Veranda House. I found it by coincidence after a walk around the area of Souq Mutrah. It is a small museum located in a renovated house from the 1930s (Lonely Planet, 2015). It's two floors. The rooms were converted into exhibition spaces. The design is simple with basic glass cases and corner and floor displays. I liked the little figures reenacting the events in the glass cases. 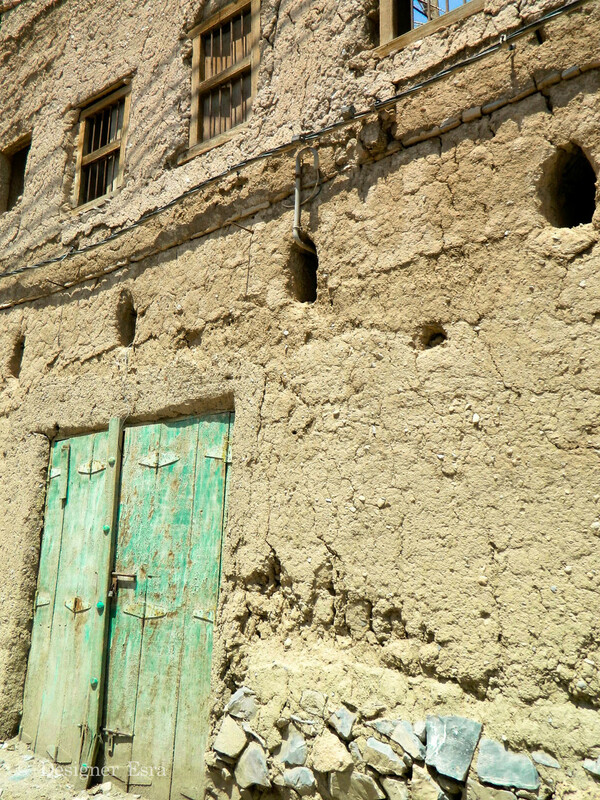 The museum is about the history of the region and Oman. It's about the past 750 million years with many archaeological elements, such as Dinosaur bones found in Oman. 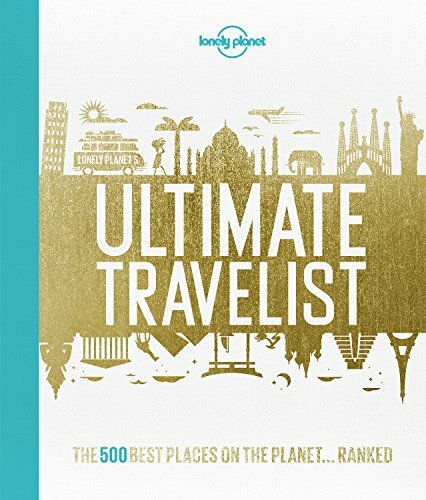 It's interesting if you want to know more about the area and how Oman came to be. Total needed time was an hour with reading the info and taking the photos. If you are in the area, go check it out. Children might enjoy it. Although be aware it is not an interactive museum. It's mostly informative. They also host changing temporary exhibitions. Check their Facebook page to know their latest. At first, I spotted them just roaming around on the empty streets and around houses like they own the neighbourhood. Then I followed them intrigued to where they headed and they went to the beach as a HUGE group. The weather was hot, so I am guessing that was their way to cool off ;) how cool are they right!? They were fun to watch and they easily filled a random hour in the day. You could call this activity: goat watching ;) They were such sweet, carless goats, that just ignored me when I headed to chill by the beach. SubhanAllah, God's creation is just too awesome, don't you think? Muscat is full of places. It's like the gems there are just waiting for explorers to uncover them. 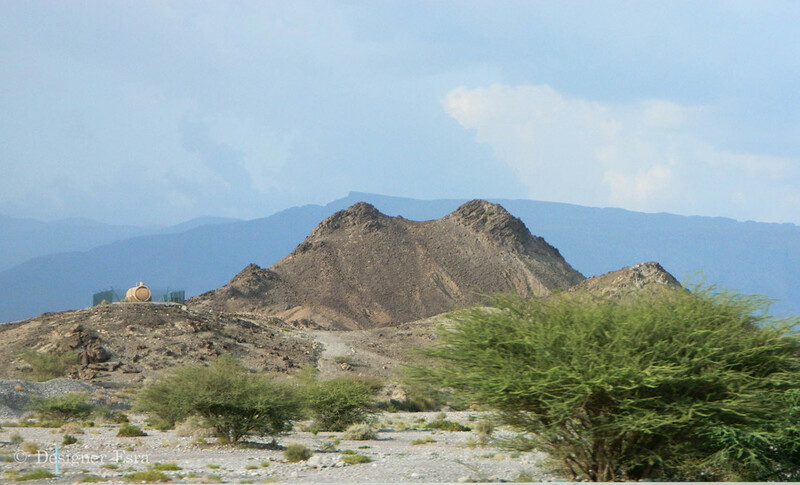 There are many beautiful valleys spread across Muscat and the surrounding areas. I have only been to one called Wady Shab. 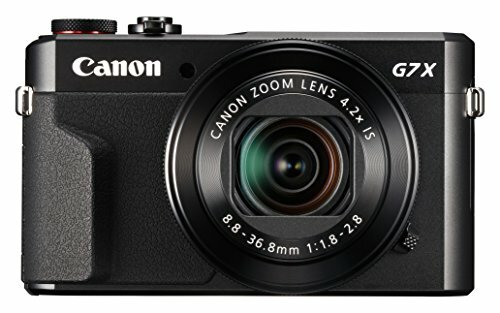 If you want to know more about the other ones. It might be worth posting a question on the Muscat InterNation Groups. The expat community there is closely knitted and they organise many adventures. They have a good knowledge in the local adventure spots. 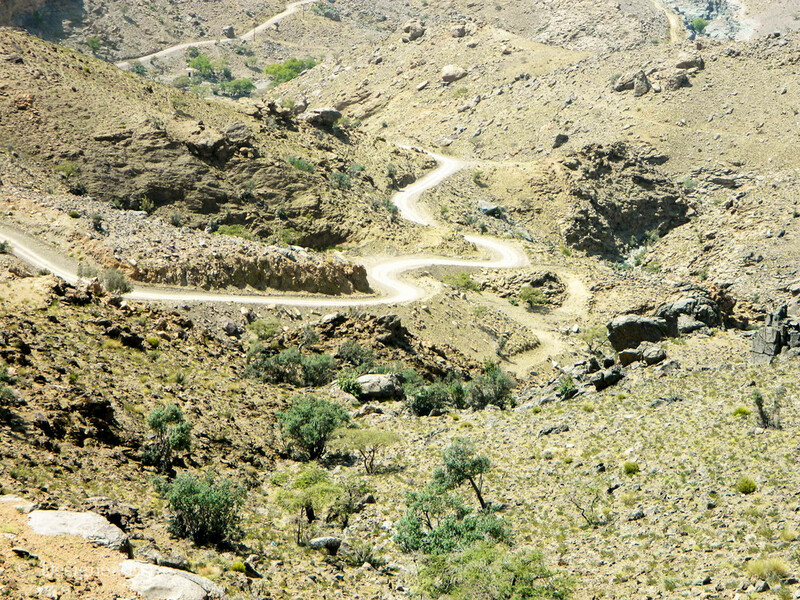 The drive from Muscat to Wadi Shab was really enjoyable. There are so many lovely mountain views. My friends and I stopped along the way to take pictures of the views and of Muscat from the distance. There were beaches along the rid, but non of them were suitable to swim because they were full of rocks and jelly fish. Yes we even tried! We went in September during mid day so it was a bit toasty (HOT!). We crossed the little lake with a boat. That took 2mins. Then we walked on million small rocks for about 15-20mins max to get to the other lake to see the cave. It was full of guys, so we didn't swim and just sat for a while and enjoyed the view. It was cool nonetheless! Photos below are in order of what we saw first. 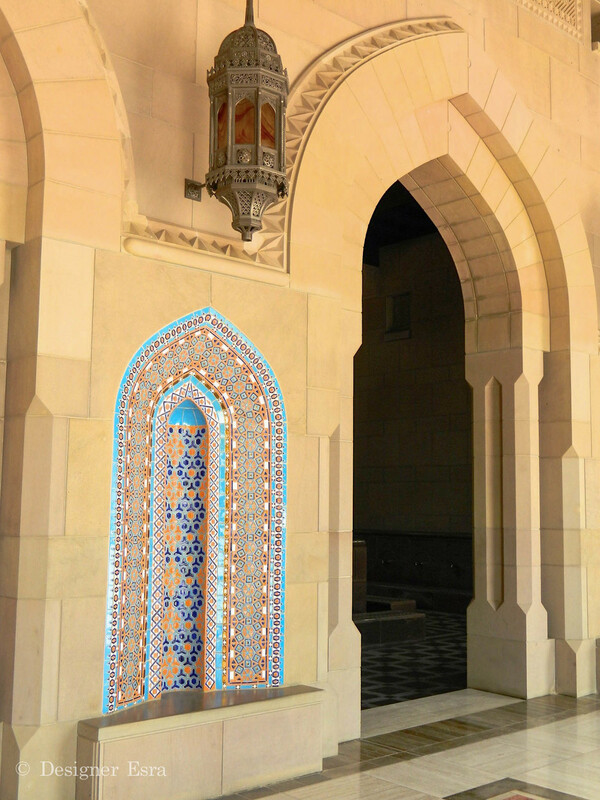 For more things to do in Muscat, please check the Ten Things To Do In Muscat post. 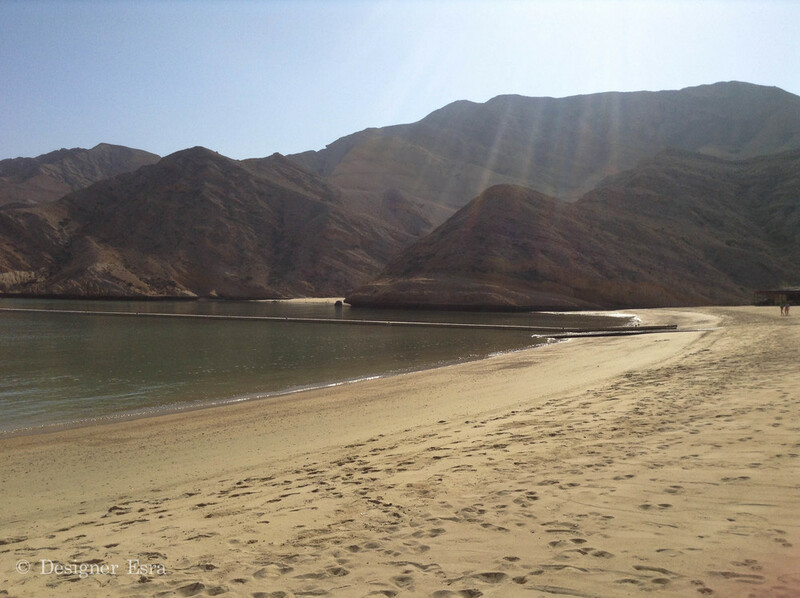 My number two thing on the ten things to do in Muscat is BEACH! it's a beautiful country and known for its beaches. If you are not into going to public beaches and want a nice private one try the Oman Diving Centre, ODC. There is an entrance fee for the beach. The Centre also offers diving hence the name and a resort with a restaurant, but I haven't checked anything but the beach. It was a nice place in the morning, but it got really uncomfortable mid day with many ladies dressed in very revealing clothes. I felt so out of place. I still prefer the hotel private beaches. Although, this might be a cheaper option. Happy Friday and Jummah Mubarkah! 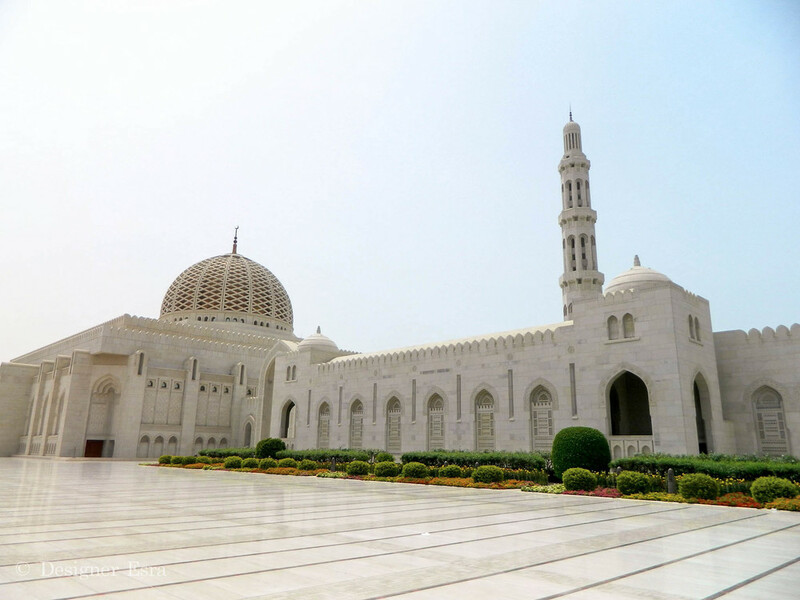 For this Friday, I am sharing the lovely Sultan Qaboos's Grand Mosque with you all. It's located in the heart of Muscat and it's one of the places that I recommend visiting if you are in Muscat. The mosque could hold 20,000 worshipers in its huge 416, 000 SqM. The mosque also has a huge library that has over 20,000 books on Islam and other subjects (Omantourism.gov.om, 2014). I only found out about it after my visit, so I haven't been to it. If you are a muslim, I would advice you to go there for a prayer and go inside. 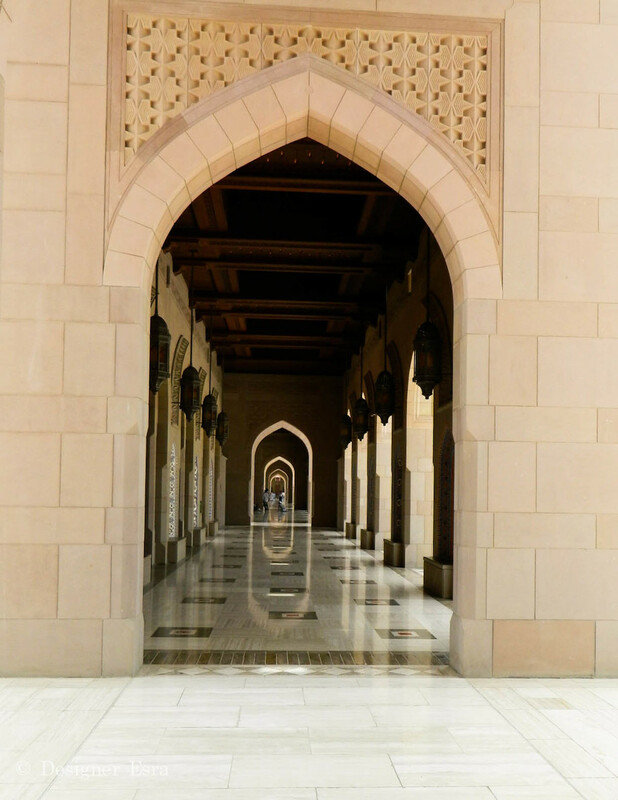 If you are not a muslim, I am not sure if you are allowed to go into the prayer spaces, but you can wonder outside and enjoy the architectural details everyday except for Fridays as stated on the Oman Tourism website. In 1992, there was a design competition to design this mosque and the wining design was executed in six years (Archnet.org, 2014) by the renowned Iraqi architect Mohammed Saleh Makiya and Quad Design. The mosque has five minarets each is 45m in hight with the fifth one that's double the hight of 91.5m. Those five minarets symbolise the five pillars of Islam (Archnet.org, 2014) and highlighting the most important one which is the oneness of God. The interiors are both simple and detailed tastefully. There are some pattern work and calligraphy but not as much as some historic mosques. 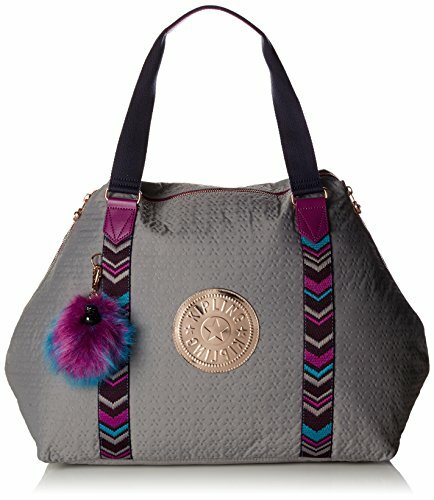 Scroll down and enjoy the photos! A walk in the whole place with pictures will take under half an hour, but it's still worth a visit. Ps. 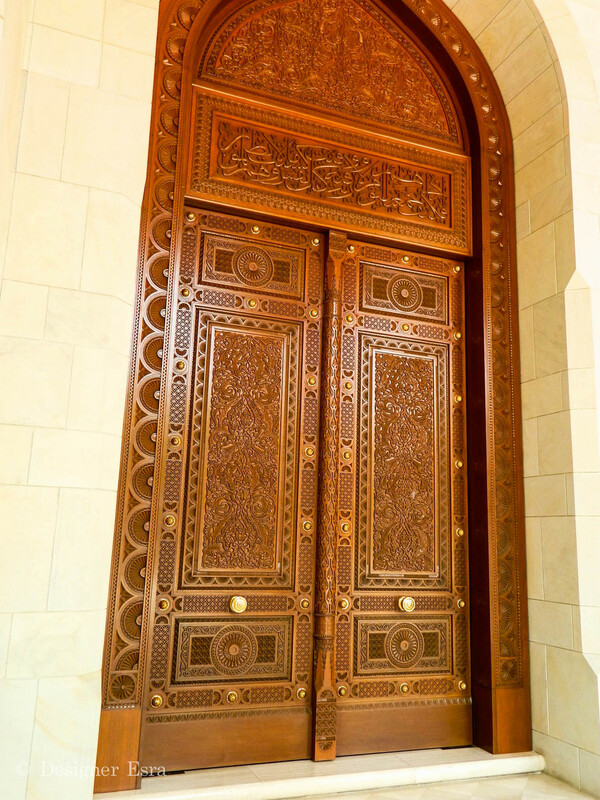 The Arabic calligraphy that you see on top of the doors is called Thuluth script (Omantourism.gov.om, 2014). For more things to do in muscat please check Ten Things To Do In Muscat. Archnet.org, (2014). 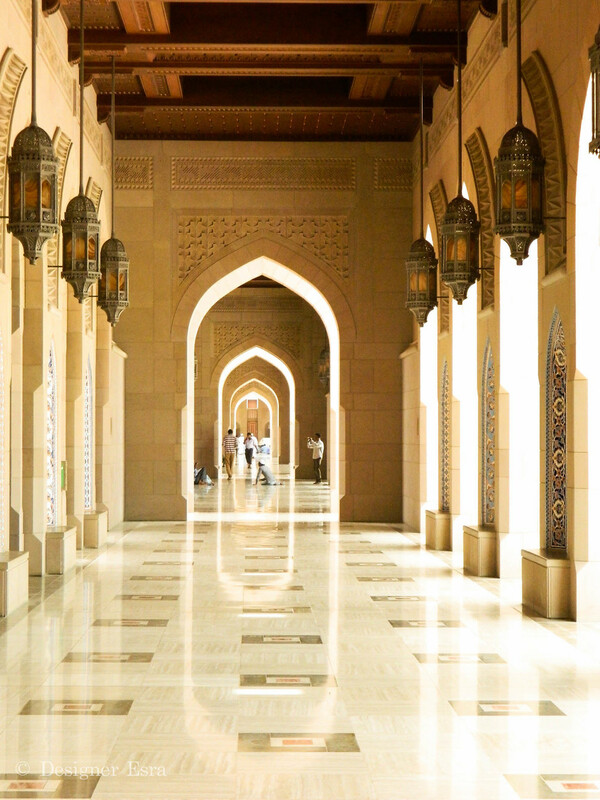 Collections | Architect's Archives | Mohamed Makiya | Sultan Qaboos Grand Mosque | Archnet. [online] Available at: http://archnet.org/collections/123/sites/4818 [Accessed 5 Dec. 2014]. Omantourism.gov.om, (2014). 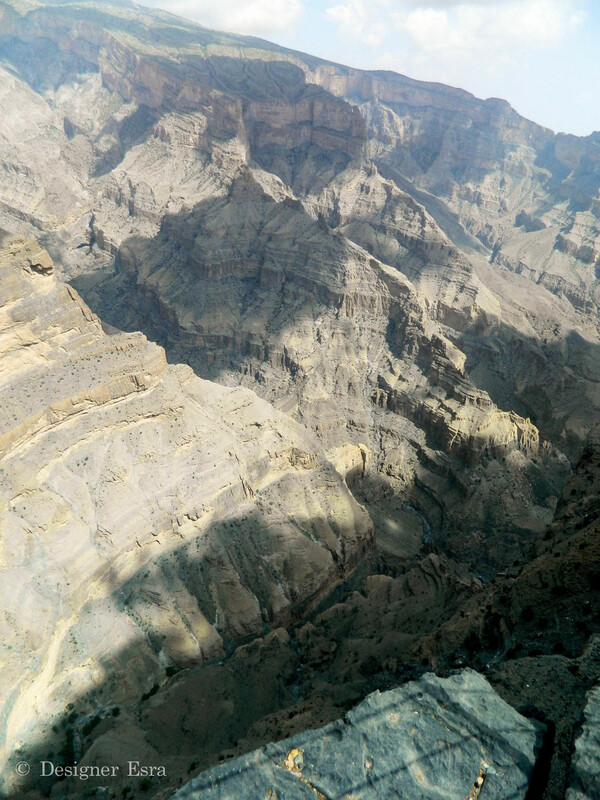 Travel to Oman, Visit Muscat through Oman Travel Guide for Sultanate of Oman Adventure - Ministry of Tourism, Sultanate of Oman. 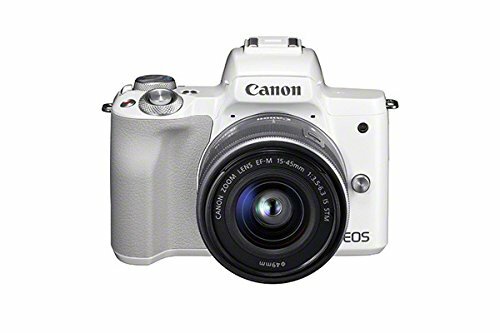 [online] Available at: http://www.omantourism.gov.om [Accessed 5 Dec. 2014]. 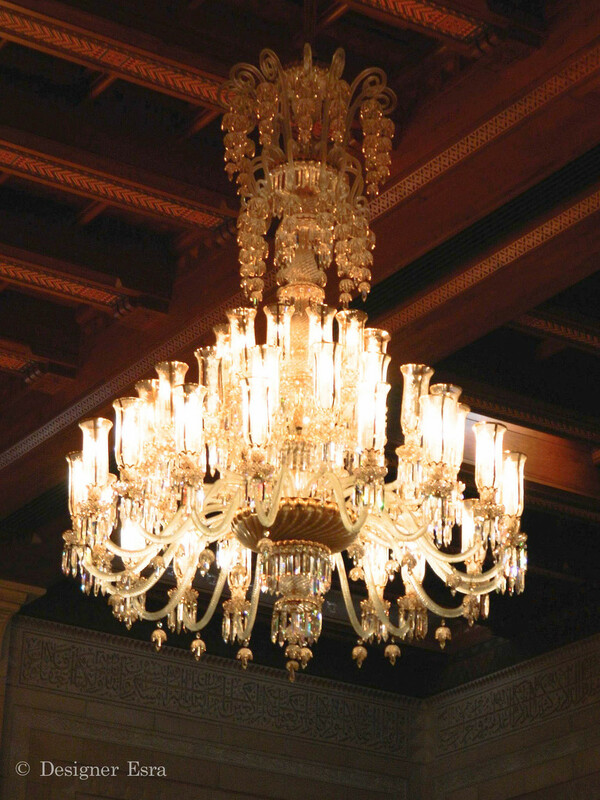 Another favourite spot in Muscat is the Royal Opera House . I love the architecture. It's traditional with the arches, yet it's contemporary with the simplicity of the locally sourced limestone and stucco finishes on the exterior. I loved the placement of the lights on the outside, which highlight the arches tastefully. The interior design of the ROH is very grand and full of beautiful details from carved arches to detailed ceilings and sparkling chandeliers. The over all space of the ROH is 200,000 SqM. It's three floors from what I remember and there are elevators. The ROH was designed by WATG. Most shows and performances are around the Christmas and New Year holidays. They have a huge range from English to Arabic. The ROH is not only an opera house, but it also include shops, cafes and a number of temporary galleries and exhibitions. I was very lucky to attend an introductory show to the world of classical instruments and opera. *MashAllah* The presentation was both in Arabic and in English. The staff were very polite and professional. They really made me feel like a princess. Everyone was so dressed up. Men were either wearing the traditional Omani thoabs and hats or suite. Ladies were either in fancy abayas or long gowns. There were few Western ladies that were dressed in tiny cocktail dresses, but they looked out of place. Make sure you go there when you visit Muscat, even if just for a tour and there are daily morning ones, but you will have to call the ROH and double check. 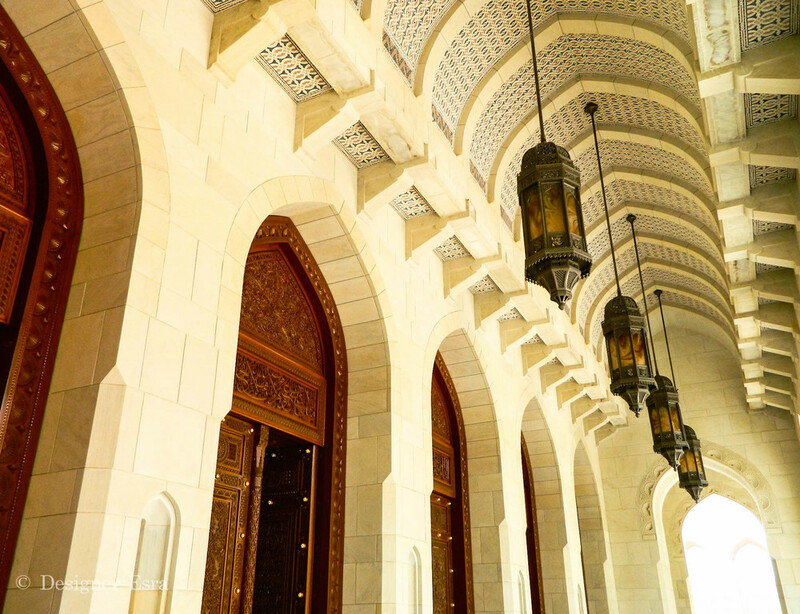 For more things to do in Muscat, please take a look at Ten Things To Do In Muscat. When you are a designer, you don't only look, but you SEE, notice, observe and appreciate. Before I studied design, everything looked fine, but after I delved into the world of design, my eye was trained to see beyond what's on the surface and to find details in everything *MashAllah* In my Muscat trip, something I noticed was their unique doors and windows. Below are a few that caught me and I liked. Most were in the Mutrah Souq area. The last were from the Sultan Qabous Grand's Mosque.